In future when someone asks me about my job, I’m going to say ‘I help to interrupt the cycle of violence that develops when animals are abused” – or something to that effect – if you can suggest a shorter, catchier phrase, please let me know! We all know that violence begets violence, in families, in society. But just recently I’ve been reminded that humans using violence against animals can lead to violence against fellow humans. I’ve been reading Training the Best Dog Ever by the late Dawn Sylvia-Stasiewicz and she quotes some alarming observations for the USA, and I’m sure the same can be said for other countries: American Humane (the organization that issues the ‘No Animals were Harmed’ disclaimer for movies and TV shows) reports that violent criminals were significantly more likely than nonviolent offenders to have “committed childhood acts of cruelty toward pets” and that abuse against animals occurs in an overwhelming majority of households where there is documented child abuse and neglect. 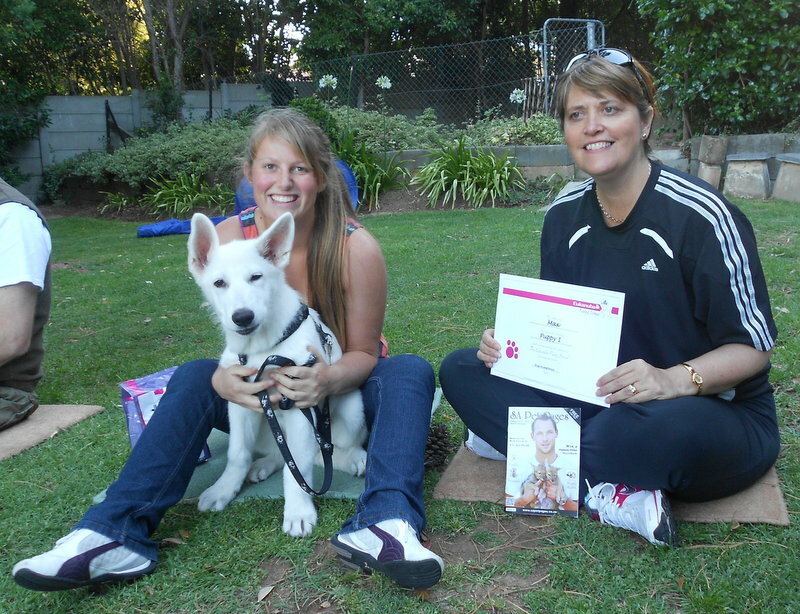 Sylvia-Stasiewicz makes the point that by using positive reinforcement methods to train our pets, we lay the foundation for peaceful interaction between humans. Children who see animals abused by adults learn that that is the way we deal with behaviour or situations we don’t like. Abuse, as we know, is often subtle and not necessarily overtly violent. It can be while a dog is being trained or just the random acts of unspeakable violence seen every day by animal welfare organizations the world over. Sometimes when I say I’m a dog trainer, or run a puppy school, friends and new acquaintances smile and imply it’s a ‘sweet’ thing to do, ‘how cute’, and I could let it make me feel that my job is not an important one compared to some. But knowing the link between animal violence and human violence and that at Rose’s Puppy School we train with positive reinforcement, respect and love and how that feeds into a stable society I’ll stand a little taller and know my job matters!